YouTube is always adding new features, which helps it stand out as the premiere video-hosting website. 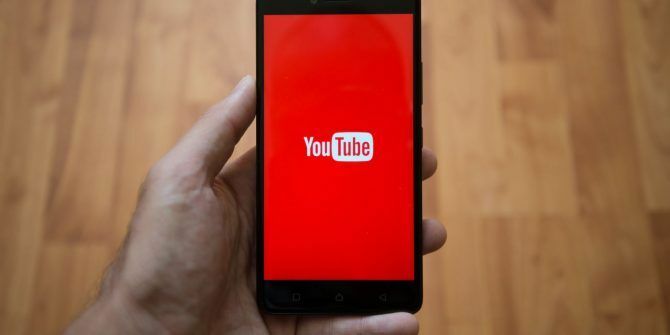 While many of these only pertain to the desktop experience, users on YouTube mobile are finally get a few features of their own. Did you know that YouTube’s Android and iPhone app has a few tricks up its sleeve How to Play YouTube Videos in the Background, and Even with the Screen Off How to Play YouTube Videos in the Background, and Even with the Screen Off It is actually possible to listen to music videos on YouTube in the background -- here's how. Read More ? Here are a few to supercharge your mobile video watching. Sometimes a video is long-winded and takes too long to get to the point, or maybe you missed a critical moment. In those situations, you can try YouTube’s instant ten-second skip. To use it, just double-tap on the left or right side of the screen. Obviously, tapping the left side will rewind the video, and the right will skip ahead. If 10 seconds isn’t a good portion of time for you, you can adjust it in YouTube’s settings. Tap the three-dot menu in the upper-right corner of the app, then choose Settings. Select the General heading, then look for the Double-tap to seek entry. Tap it, and you can change the default 10 seconds to 5, 15, 20, 30 or 60. While you’re here, we also recommend disabling another YouTube setting for easier navigation. Turn off the Autoplay slider and YouTube will stop automatically queuing videos after your current one ends. Autoplay is frustrating because it will pull up a new video while you’re trying to navigate to another one. Turn it off, and the reins are back with you. Want to get more out of YouTube? Check out the coolest URL tricks you can try 10 YouTube URL Tricks You Should Know About 10 YouTube URL Tricks You Should Know About Love YouTube? You can make it even better with these cool YouTube URL tricks that let you download videos, make GIFs, and more. Read More . What little tricks do you use to navigate YouTube more smoothly? Let us know if you appreciate this skip feature in the comments!